We're thrilled to invite you our first May Event @ Class Café! 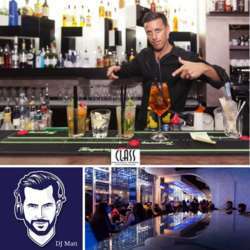 Class Café is a very well known venue for great aperitifs in the heart of the city, we'll make it even better by having DJ Matt play awesome tunes for you! Hey it's also his birthday! So let's celebrate him too.